Available on Etsy from My Mercantile Shop, this set of six coasters will add a unique element to your bar cart. 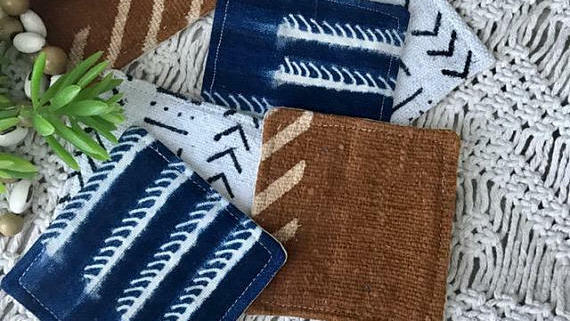 Beautifully designed and available in an assortment of colors, each 4x4 coaster is handmade and backed with cream-colored fabric. While mud cloth tends to be on the stiffer end of textiles, with some wear it becomes softer and more comfortable to the touch. Because of that, it’s never a bad idea to look for secondhand mud cloth, which comes already aged. Bigger pieces of mud cloth, such as this one available on Chairish, work nicely as a bedspread or throw. Wondering what to do with that narrow wall space between two windows in your home? Hang a mud cloth! 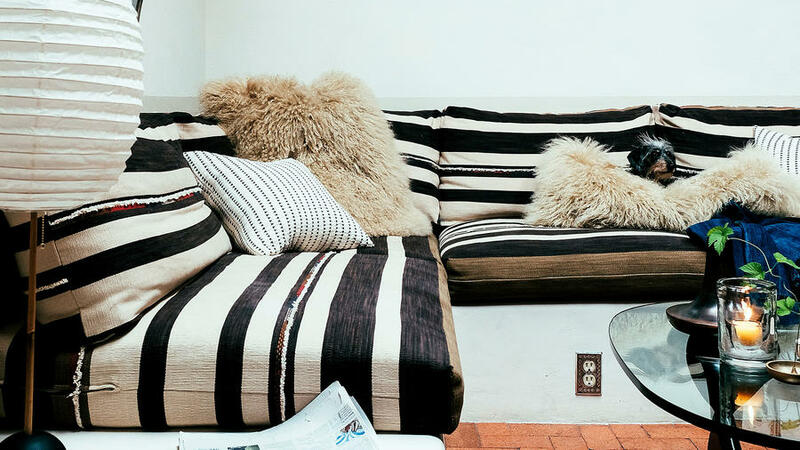 It’s more chic than a tapestry and easily dresses up an otherwise barren space. 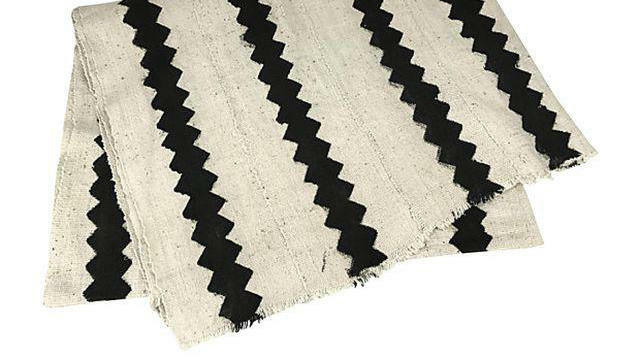 Designed by artist Ruti Shaashua and inspired by vivid Indian fabrics, this piece of art speaks to the repetition, geometry, and simplicity of a traditional mud cloth. 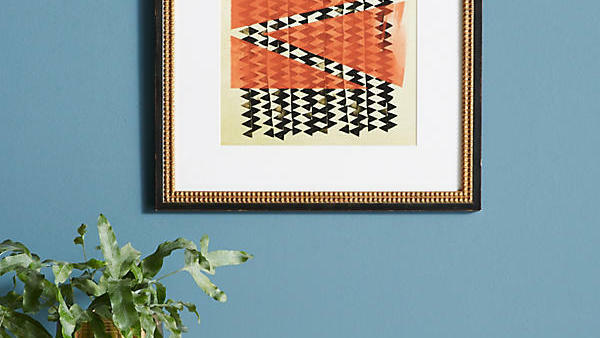 For a fun DIY project, swaths of mud cloth can be framed to create your own inspired gallery wall. 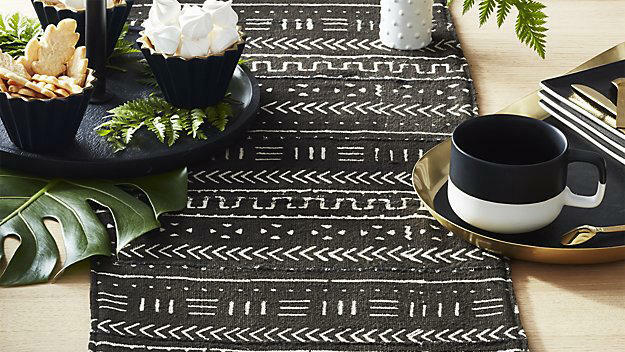 Dress up your table with this beautiful runner. Artisans use dye made of leaves to tint the cotton, which is then sun-dried and hand-painted using fermented river mud. The fibers are then hand-loomed to form the runner. Because of this intricate process, you can guarantee that no two are alike. 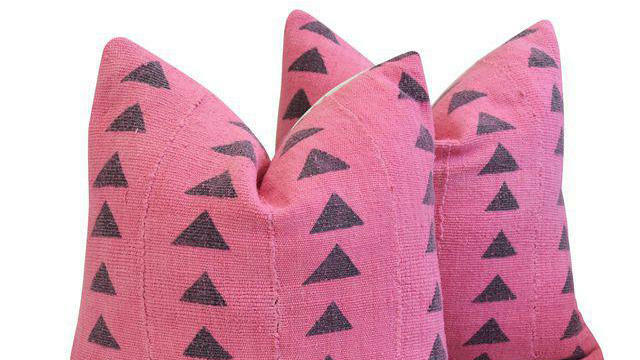 A twist on the traditional mud cloth, these fun pillows are a great way to liven up your living spaces. Available in a pair, these pillows are stuffed with goose-feather inserts and backed with a bone-colored velvet. Who can resist? 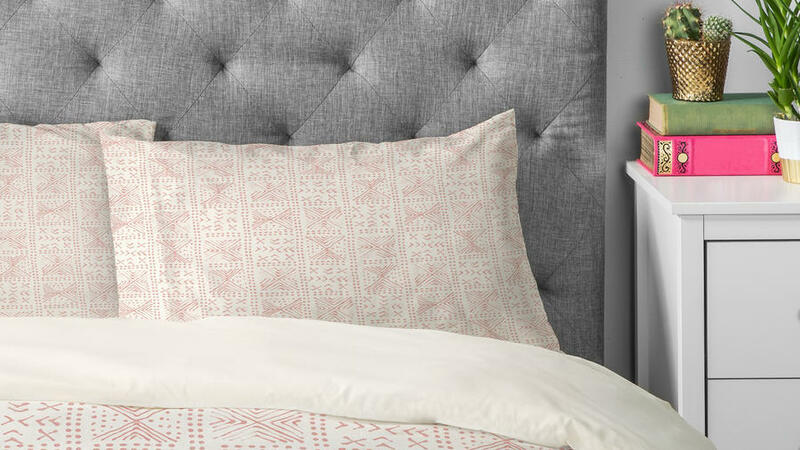 Another décor category to look into for fun mud cloth-inspired patterns is bedding. This set, available in an understated and sophisticated colorway, includes a duvet cover and two shams. Available on Etsy shop Oh Lovely Deer, this set of four mud cloth-print napkins will quickly become a table-setting staple. The natural palette makes these an easy way to incorporate the bold print into your home décor. 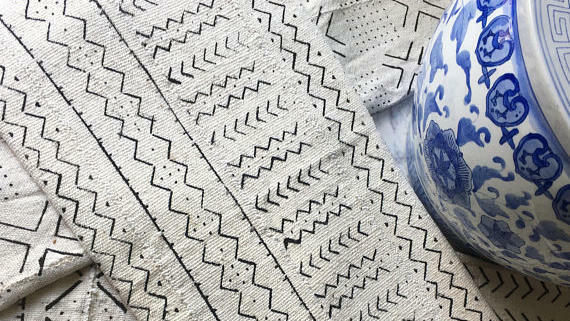 If you have any upholstered pieces that are looking a bit tired, consider reupholstering them in high-quality mud cloth. The result is a high-impact look that will breathe new life into your furniture, from benches to sofas. 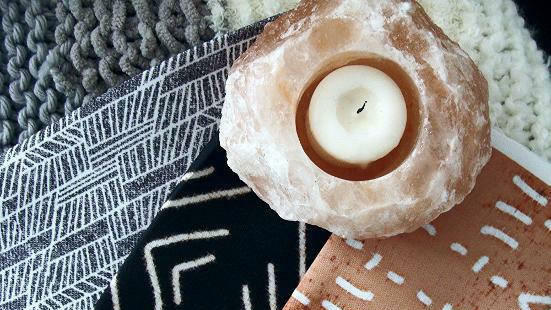 If you aren’t ready to commit to an upholstery project, the next best thing is using a mud cloth to dress up your furniture pieces. 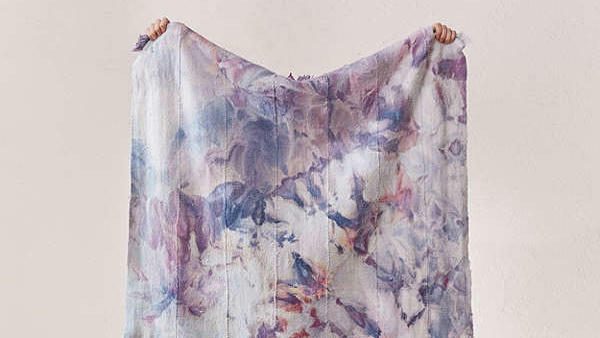 Drape a cloth, like this pastel hand-dyed, raw-edge piece, over a sofa for an elevated look.